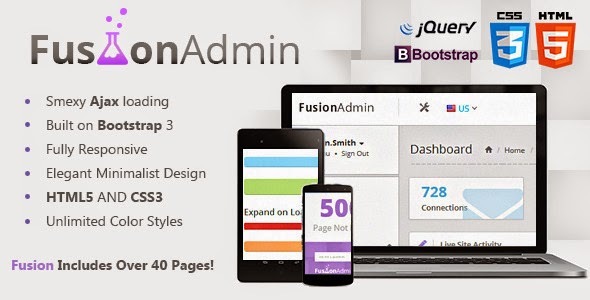 Fusion Admin is a fluid, responsive, and Ajax powered admin dashboard. Built using Bootstrap 3s “mobile first” approach, it will help you get a jump start on your next project. Fusion is well documented, intelligently commented, and is modular structured. - Includes over 40 pages. Item Reviewed: Fusion - Responsive Admin Dashboard 9 out of 10 based on 10 ratings. 9 user reviews.